Dr. Forest Tennant, physician, former mayor, and expert witness, has been served with a search warrant by the DEA in conjunction with an ongoing investigation. The DEA served Tennant with a warrant that also named United Pharmacy of Los Angeles and its pharmacist owner. The DEA alleges that United and physicians who fill prescriptions at United constitute a drug trafficking organization (DTO). Investigators also allege that Tennant took over $100,000 in kickbacks from Insys Therapeutics, maker of a fentanyl-based nasal spray. Court documents claim that Tennant was the top prescriber of Subsys. There were 96 claims totaling more than $1.9 million for five patients between August 2014 and July 2016. 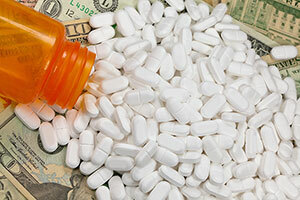 The warrant sought to seize drugs, documents, and records related to the distribution of painkillers and financial records of payments sent or received by doctors. Tennant told the San Gabriel Valley Tribune that he has done nothing wrong and that the alleged kickbacks were appropriate compensation for speaking engagements. Tennant, who is an outspoken supporter of using opioid medication to ease pain, said that he spoke for Insys numerous times between 2013 and 2015 and that the payments covered the cost of travel, lodging, and meals. The search warrant was served just one day after Dr. Tennant testified as an expert witness in the opioid trial of Dr. Chris Christensen. Dr. Christiansen of Florence, Montana is on trial for negligent homicide, criminal endangerment, and illegally prescribing pain medications.